dbcOS Ripening Fruit ripening applications and systems. 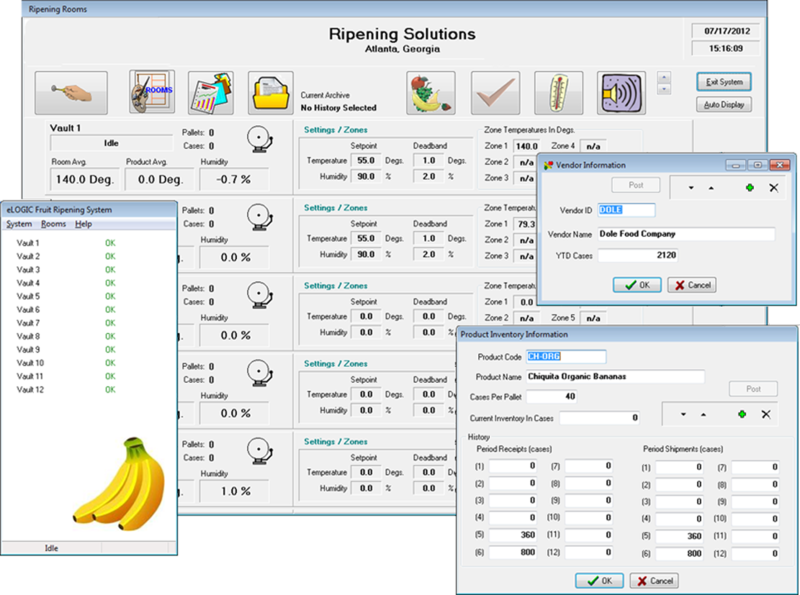 Our ripening room control system can provide you with a complete control/software solution to handle your entire product ripening operation. Much like our refrigeration control systems, the SST ripening control system is component-based. This being the case, ripening rooms or entire ripening systems can be configured with minimul effort by anyone who understands the general ripening system concept. 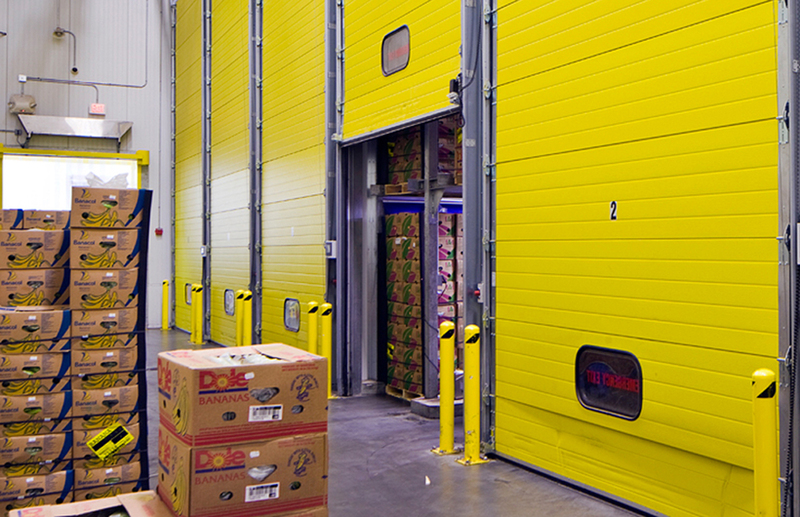 The system provides flexibility required to configure the system to suit your specific daily processes. Competing products expect you to modify operational processes to meet the limitations of the software system. The SST ripening system software was devolped as an add-on to our ECON application suite platform. Screens are provided to monitor the overall system at once, drill-down to ripening room levels, or even individual ripening room component levels. The system provides a robust set of standard reports and a report development suite to assist in developing custom reports. The system includes all tools required to handle inventory tracking and historical batch data analysis. The precision control and intuitive data entry screens of the system make product room configurations very simple. Integrated Circuit Temperature Detectors or ICTD's represent one of the latest innovations in temperature sensing. The main advantage to this type of sensor is that it is a naturally linear device which provides an output that is proportional to absolute temperature. We have now been manufacturing and providing ICTD sensors exclusively for over 15 years. Over the years, these sensors have proven to be extremely reliable, accurate, and cost-effective. Literally thousands of these sensors have been installed at this point with a minimal fail rate. Lone wire runs have no effect on the sensors due to their high impedance properties. Our ICTD sensors are available in a variety of packages (Stainless, Product Sensor, and Standard Plastic). The stainless steel ICTD package is primarily used in wet environments. The product sensor package provides a GEL pack housing that is used in freezer areas to simulate product temperatures. The plastic ICTD packages are designed to be used in all other environments. The sensors are used for under-floor glycol, area, and room temperature monitoring applications.